Although strategies putting growth before profit instead of profit-first schemes may set InsurTech startups apart from established players in personal and commercial insurance lines, there’s less of a divide when executives of the two groups describe their company cultures. Leaders of both types of operations agree that minding culture and cultivating strategy are both important parts of their jobs. Nine executives who answered questions we posed about culture and strategy also used phrases like “employees feel empowered” and identified their cultures as “collaborative,” “innovative” and “diverse” in roughly equal measure. We present answers to questions like “Do you spend more time on culture or strategy?” and “How would you describe your company’s culture today?” from three chief executive officers of established carriers—American Family, The Hanover and QBE—in the articles linked below. Responses from six executives of InsurTech startups (mainly co-founders and CEOs) to the same set of five questions are also provided. One notable difference between established players and InsurTechs is that twice as many InsurTech startups responded to our invitation to participate in our Culture Q&A exchange even though we actually invited fewer of them to take part. Comparative participation rates were 75 percent for InsurTech startups vs. 27 percent for incumbent carriers. 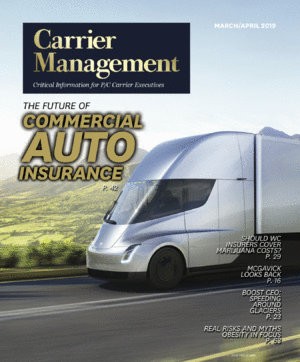 Three other executives of traditional established players, however, made a big contribution to our publication, with Kemper CEO Joseph Lacher and State Auto CEO Mike LaRocco generously sharing details of recent cultural transformations, and Ivy Kusinga, Chubb’s chief culture officer, profiled as well. Taken together, the 12 articles reveal a few cultural distinctions worth noting. Looking Out vs. Looking In. Only executives of established carriers, such as Lacher and American Family’s Jack Salzwedel, specifically mentioned the importance of supporting the communities as a cornerstone of their cultures or stressed “purpose-driven” aspects of their missions in aiding customers. Our editors discovered this nuance by counting up repeated words and phrases from all 12 culture articles. While the words “communities” and “serve” appear frequently in the articles for established carriers, words like “team,” “values,” “tools” and “work” are most prominent for InsurTechs, suggesting a more inward focus. Customers and Agents. Still, both sets of executives described their firms as customer-oriented, with five from each group using the word “customer” at least once in their culture descriptions. But established carriers used the word more than 30 times compared to a dozen for InsurTechs. And traditional insurers were the only ones to describe a focus on supporting agent partners as a cultural attribute. Transparency and Openness. For employees that value transparency and openness, InsurTechs may be employers of choice. While only one established carrier speaks to openness as part of its culture—and, in fact, State Auto’s LaRocco emphasizes it with the term “radical transparency”—nearly all the InsurTech executives spoke of cultures where “everyone has a voice” and where information is shared. Likewise, only LaRocco and several InsurTech executives mentioned having “fun” as an aspect of culture. Active Creation or Evolution. Another subtle difference in responses came in questions about the role executives play in shaping their cultures. While leaders of established companies say they have active roles in shaping and transforming their cultures, InsurTech execs are more likely to say that their cultures simply evolved or that their teams created their own cultures. “For us the magic happened organically,” wrote Bold Penguin’s Ilya Bodner in a typical comment along these lines. At Slice Labs, culture came about both subconsciously and from deliberate efforts, said CEO Tim Attia. “There’s a culture that inherently comes with startups in terms of attracting people who are excited by the possibility, by the challenge and by the unknown,” he said. While none of the participating executives or their employees is likely sporting the attire of the bikers displayed with these articles to work, the images help us emphasize the unifying (tattoo art) messages that the executives say embody their cultures.